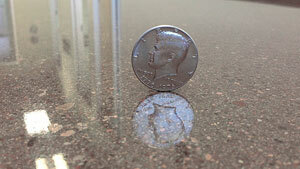 technology that polished concrete at a fraction of the cost; while giving better results, in half the time! Originally invented in Europe, the system has now spread globally and taken over traditional treatments of polishing concrete all over Europe and Asia. Winning the 2015 Industry's Choice Award for Most Innovative Product, SLEEK FLOORS is proud to be the first to bring this technology to the United States and the only operator of this technology in Nevada. 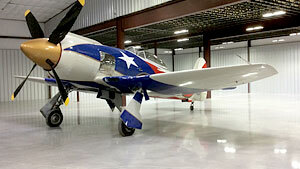 We are licensed and insured, with hundreds of thousands of square feet of polished concrete floor projects behind us. "We are certain to deliver excellent clean and polished concrete floors to Las Vegas"
While your floor is being transformed, we want you to be part of the journey. 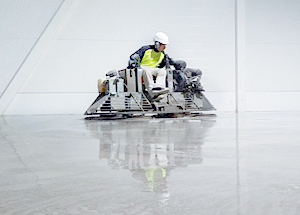 Our mission is to transform the polished concrete industry; to create an affordable and cost-effective solution for business owners around the world by providing world-class technology and service to our customers. Improve quality of your exciting concrete by eliminating dust. Reduce overhead cost by introducing most advanced cleaning polishing system. Convert old concrete into a clean and polished, which will last for a long time. Sleek Floors system eliminates microscopic surface roughness, creating a tight, smooth, and 100% dust-free concrete surface. Deep cleaning, honing, and polishing that can be done simultaneously during the construction process. The high production rates result in fewer man-hours; saving the contractor valuable time during the construction process. Hard, smooth, and abrasion resistant floors are much easier to clean than untreated steel-troweled surfaces. Sleek Floors allows for easy removal of tire marks, dirt, and scuff marks. The high sheen will increase ambient lighting, reducing the end user’s energy bill. Additionally, no harsh chemicals are used during the polishing process. Concrete surfaces are used and abused during the construction process. The Sleek Floors system can be used to remove curing agents, bond breakers, and tire marks from the surface of the concrete without interrupting the construction schedule. Sleek Floors is committed to creating a clean, safe and healthy workplace through use of innovative cleaning technology developed specifically for concrete flooring to minimize the impact of concrete dust, and cracking. 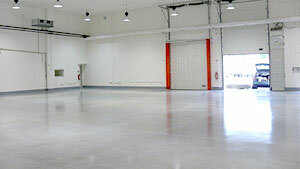 We are dedicated to deliver clean polished concrete floors for Las Vegas commercial and industrial markets. New or existing concrete, terrazzo, concrete with dry shakes, polished concrete and surfaces treated with sodium or potassium hardeners can be used with Sleek Floors cleaning system. Our cleaning and polishing system environmental friendly are safe to use in supermarkets, meat packing facilities and food processing centers, but yet strong enough for the intensity of airport hangers and parking garages. Cleaning sleeking treatment improves the service life of a floor, comfort in use and appearance over the entire period of its life cycle. Regular sleeking treatment also saves a lot more money than carrying out big one-time restoration projects for concrete.